Castle Combe lies in a valley and is considered one of the loveliest villages in the Cotswolds. It is one of the most visited and frequently finds favour as a backdrop for period television and cinema dramas. The village has been used as a Filming Location for several well-known films including Stephen Spielberg's movie 'Warhorse' as well as Dr Doolittle in 1966. There are nice pubs and even a Michellin-starred restaurant. The beautiful World Heritage City of Bath is just 25 minutes away by car (12 miles). People travel to the area from miles around for walking, cycling, car racing at the Castle Combe Circuit, golf, country pursuits and visits to Cotswold places of interest and much more. Wonderful country walks are available literally from the doorstep. 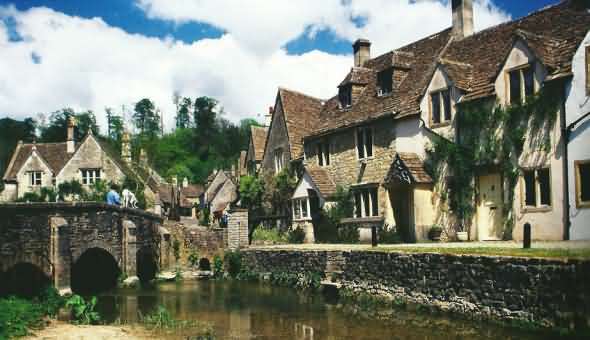 Castle Combe has been called 'The Prettiest Village in England' and with good reason; visitors have been coming to enjoy its charms for at least a century and the small street leading from the Market Cross down to the River 'By Brook' is as picturesque today as it ever has been. Nearby there are many sites of historical interest such as Avebury, Stonehenge and the Wiltshire White Horses.The stately homes and gardens of Bowood House, Longleat and Stourhead are also well worth a visit. Standing to attention in the cosy Cotswold countryside, The Manor House offers a wealth of experiences to savour, from overnight breaks to unrivalled meetings, world-class dining to award-winning golf, dream weddings or the perfect setting for a private family celebration. Breathtakingly situated in Wiltshire and on the outskirts of Bath lies Castle Combe village. Untouched since the 17th century, this chocolate box Cotswold village is home to the definitive country retreat. Whether you are joining us for business or pleasure, take time to explore the grounds, get lost in our Italian gardens and stroll through the flourishing kitchen garden, growing the finest produce for use in our award-winning restaurant and bar. And when your tummy begins to rumble, why not opt for a spot of afternoon tea out on our sunny lawns or hideaway in one of many nooks and cranny's to simply relax. Surrounded by 365 acres of spectacular Cotswolds countryside, The Manor House is one of the most beautiful destinations you will discover. At the heart of the 14th century village of Castle Combe, and waiting to be explored are the carefully tended parkland, woodland and gardens and village beyond. Indulge in a traditional afternoon tea or relax at the bar with a large G&T. Spend time over a world class dinner before retiring to bed where a handmade mattress awaits. If you can, make time for a round of golf where our undulating landscape provides a great adventure for any level of golfer. 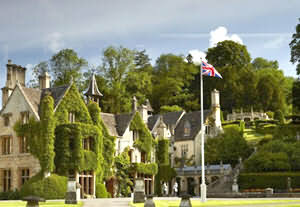 The Manor House is the perfect destination be it for business or pleasure. The beautiful bedrooms are elegantly decorated with rich fabrics and antique furniture, each with individual character. All rooms offer tea and coffee facilities and a private bathroom with a cozy bathrobe. Oliver’s Restaurant serves a creative British menu and an extensive wine list, while the lounge bar offers informal lunches and light snacks. There is also a dining room and an ample terrace on the grounds. 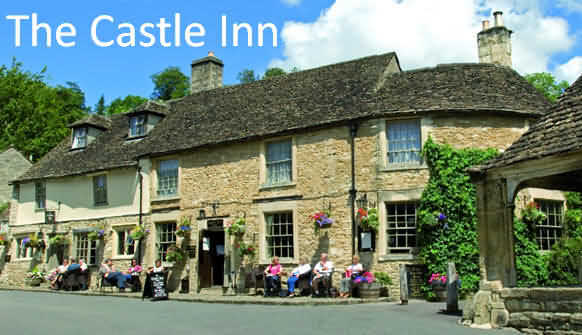 Situated in Castle Combe market place, The Castle Inn has an interesting history as a former retreat of Oliver Cromwell. With open log fires, exposed beams and sloping walls, the magnificent building is just a 15 minute drive from Chippenham. The Manor House Golf Club is a 10-minute walk away. Beautiful cottage in one of the finest Cotswolds' villages and also conveniently located for Bath. All the space and appeal of a holiday cottage PLUS THE ACCESS TO A HOTEL'S MENU AT YOUR DOOR!!! 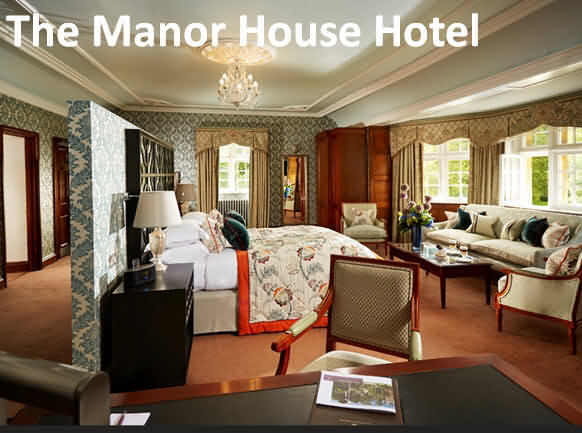 Chic and stunning cottage with super-swish interiors, spacious rooms with the benefit of hotel room service from the Manor Hotel at the end of your drive! Wow! This cottage has just about everything; a period house dating back hundreds of years (possibly one of the original village cottages) and filled with character - fireplaces, lead windows and beams - it has been lovingly cared for. Inside is a contemporary holiday home beautifully furnished with spacious rooms downstairs and two bedrooms and two bathrooms upstairs. This beautiful holiday cottage has recently undergone sympathetic restoration whilst retaining many original features. It provides flexible accommodation including a double bedroom and 2 single bedrooms plus a cot which makes it an ideal place to stay for families with younger children. 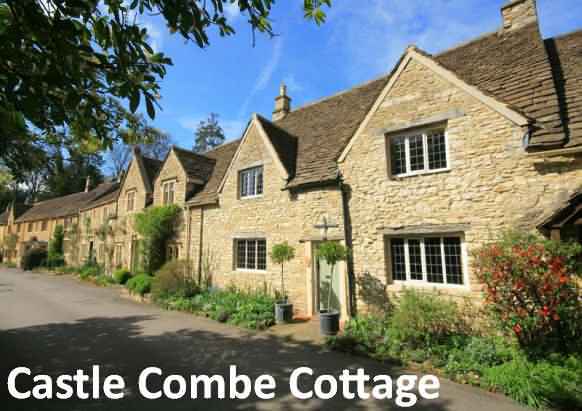 Located 4 miles from Castle Combe. The property is tastefully furnished with all the necessary facilities and amenities. There is full central heating and a wood burning stove which makes it a perfect place to stay out of season. There is a pleasant and secluded garden to the rear of the property overlooking fields. The decking area has teak loungers and on the patio a table, four chairs and a barbecue. Outside there is parking at the front of the cottage.